As technology and innovations continue to make our lives easier, we become more aware of different life-hacks – things that help make our daily activities less complicated, giving us time to do more important things like pursuing our passion, starting a hobby or even just have more time to spend with family and friends. Take for instance our area here in Bacolod, we see a lot of Bayad Center branches carrying that “bahay-kubo” icon and the Meralco seal on their signages. These branches are strategically located in commercial centers and other convergence areas to cater to your payment needs, as well as other services like Prepaid Loading, Airline Ticketing, and Remittance Payout. Understanding the needs of our Kababayans overseas, Bayad Center has partnered with Saudi Call, for those who are in Saudi Arabia & Ventaja which branches are present worldwide. 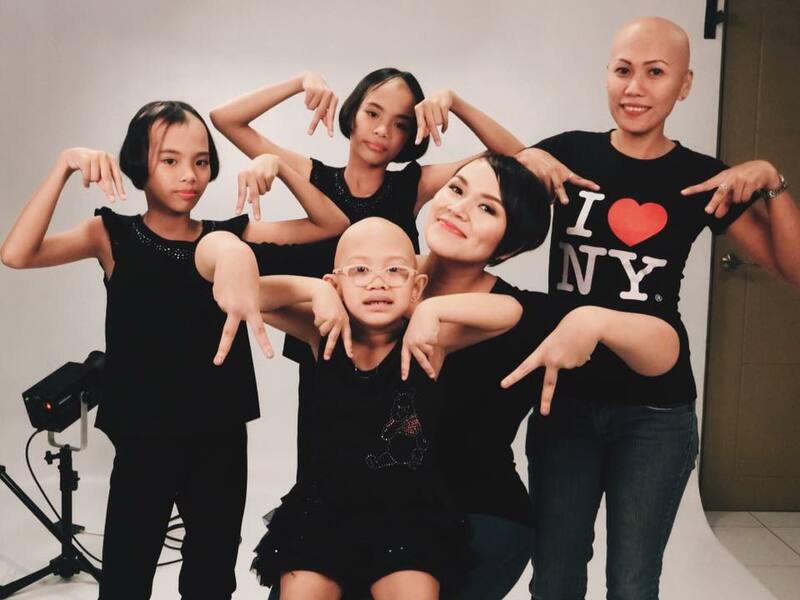 With these partnerships OFW’s process of sending money to pay for the family’s bills are easily shortened. If you are an OFW who prefers a mobile application, there is - miLine which caters if you are in the countries of Singapore, Japan, Honkong & UAE. You can simply download the app for an easy way of paying bills back home. miLine’s bills payment system is powered by Bayad Center. 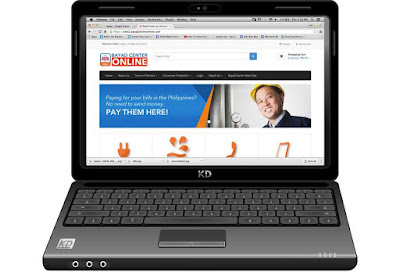 On the other hand, Partnership with PLDT Global allows overseas Filipinos to conveniently manage their payables back home through an easy to use web- based payment facility - simply log on to www.smartpinoystore.com. 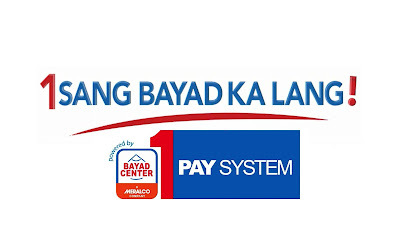 Through the Bayad Center International Bills Pay, overseas workers can already settle their household bills over-the-counter through these accredited partners of Bayad Center in the different countries abroad. 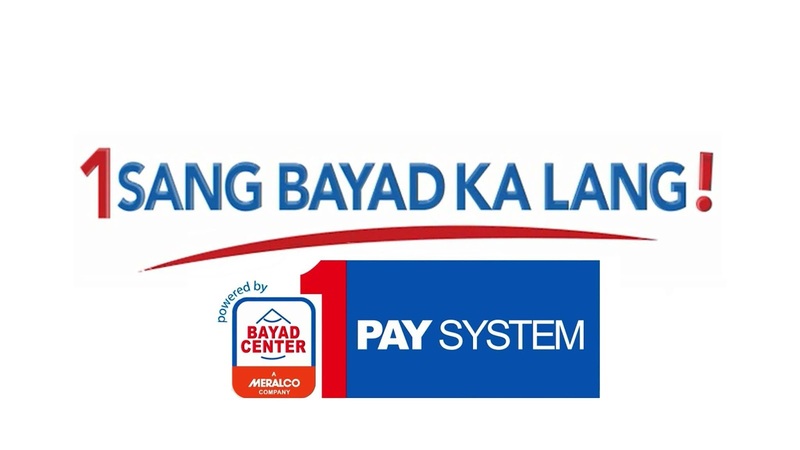 If you’re one of those who prefer doing everything online, Bayad Center Online can cater your payment needs thru http://www.bayadcenteronline.com Paying bills is now made easier at the comfort of your home. And since this is a web-based facility, you can also view and do the transactions on your mobile phone wherever, whenever. Bills payment for Davao Light and VECO (for Cebu based) are now available. I just hope they include CENECO and BACIWA soon for Negros and Bacolod based customers. Novuhair Topical Scalp Lotion, Shampoo and Conditioner are available in all Mercury Drug Stores and other leading drug stores nationwide. For more information visit www.novuhair.com. Like the brand’s official Facebook Page at Novuhair Official, Instagram: @NovuhairOfficial and follow it on Twitter at @NovuhairNatural. You may also call the Novuhair hotlines at 4136570 and 09228830575 and order online at Lazada and regaloservice.com. 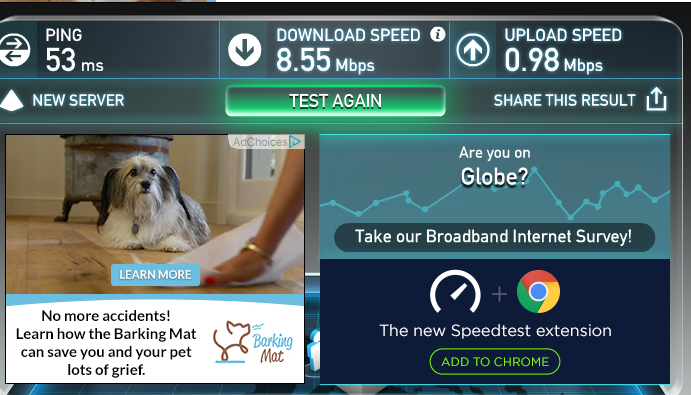 Having a reliable and affordable internet service has been one of major challenges of a freelancer. We may have quite a number of players in the internet industry however, there is a still a monopoly in terms of availability in a certain area. 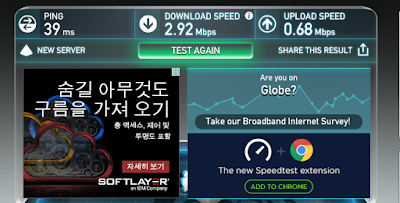 In my case, we only have Globe DSL available in our barangay. With the recent calls of the government and the public for a faster internet service, I am happy to share that finally, these calls did not fall unto deaf ears. 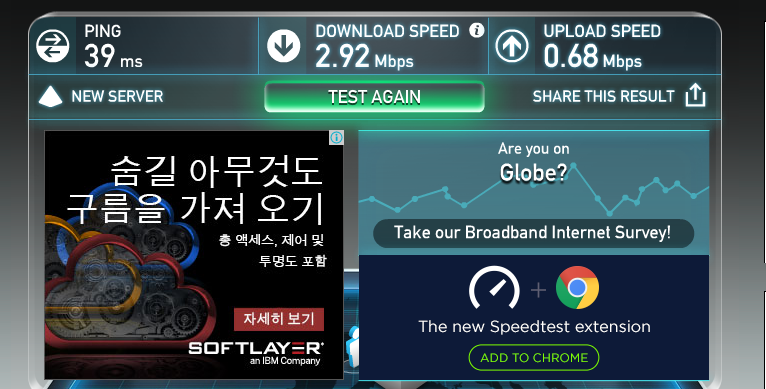 For the past 15 months, we had Plan 1299 with Globe that comes with a download speed of 3 Mbps. This plan comes with a 50 GB monthly data allowance which is not sufficient for my needs. Now, we are able to upgrade the speed of our DSL plan to 10 MBPS with a 100GB data cap for the same price. The only disadvantage is that your contract will be renewed for another 24 months if you request for these speed upgrade. Other speed upgrades are also available for Plan 1599 and up. If you are interested, you just have to call the hotline 02-7301000 to request for the change. They say that it would take 3-5 days to make the changes but it actually took us 3 weeks to have this processed. Have you ever wondered what Christmas gift can you give to your aging parents or loved ones? Or perhaps a family member with a disability in terms of walking or moving around? We can certainly think of a lot of basic things to give, most of the time something generic for everyone. However, if you are really looking for something that would matter to them or even change their life, then you might want to consider this offering by California Eco-bike. Whether we admit it or not, one of the challenges of aging citizens and persons with disability in the Philippines attributes to accessibility and care. 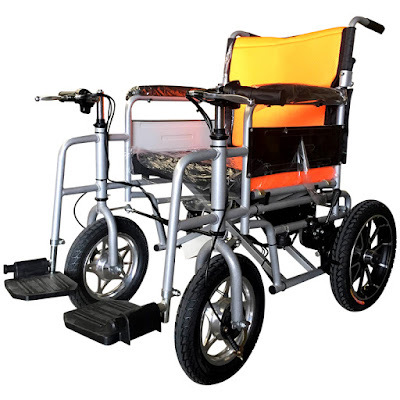 The steep prices of motorized vehicle or mobility aid hinders them to move around with ease and comfort. Instead they just make use of their walking sticks, clutches or just opt to just stay at home. Gladly, California E-bike is sensitive to the growing need of Filipinos for a more affordable alternative without compromising quality, Thereby introducing to us the newest addition to their growing line of Eco-Bikes. This type of Mobility aid is preferred by the elderlies with limited movements in their hands. Easy to use and maneuver. This model has a manual mode should you need to switch to one. 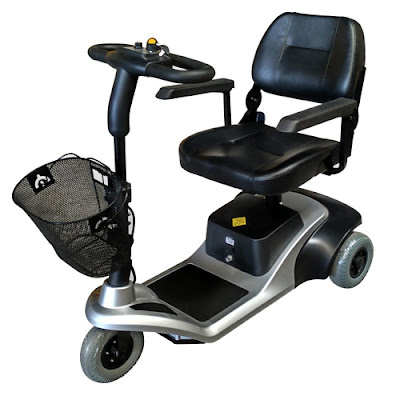 This mobility aid is preferred by those with more capability in their hands and movements. 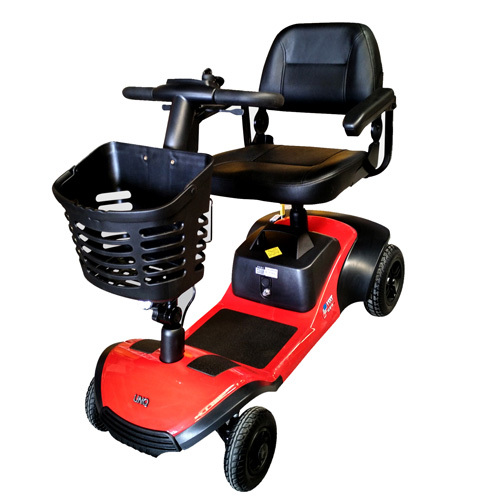 This type is less bulky and can maneuver with greater ease. This model also includes a front basket to help carry stuff. 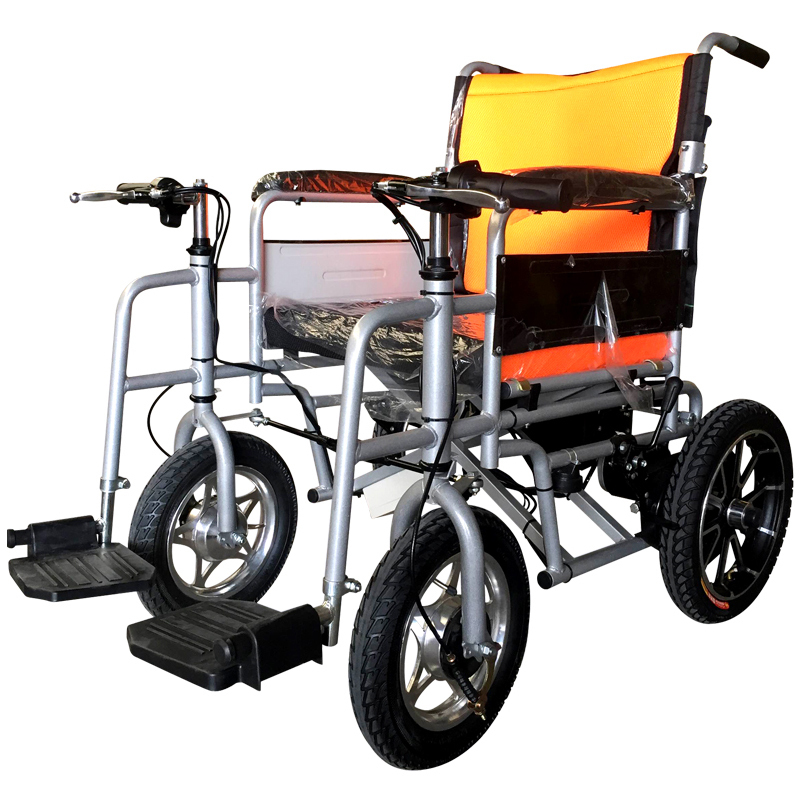 Those who prefer a 4-wheel mobility aid minus the bulk can go for this model with a trendy hue. Just like California Eco-Bike mobility models, this one is also foldable and has a detachable battery for easy charging.